I know I know, I posted 5 days late which I guess will be my trademark? Found some new stuff last month and a few oldie but goodie favourites. Without further ado, these are a few of my favourite things in the month of December. I was in the middle of reading Malcolm Gladwell' Outliers but with the moving and everything, I misplaced that book which is annoying because I was just start getting a hang of that book and start enjoying reading it. 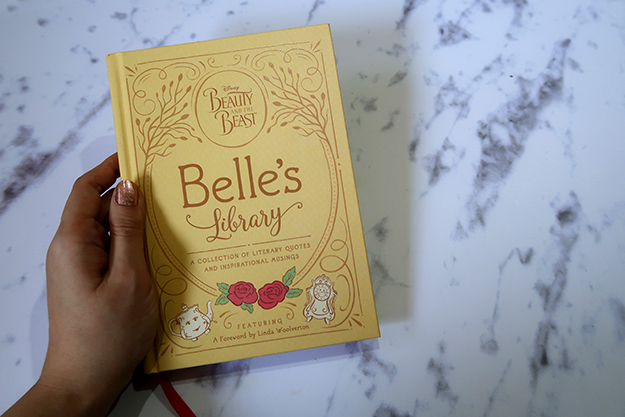 I feel a tad bit empty without a book to read so I grabbed this oh-so-adorable Belle's Library book and was surprised that I love it. LOL. I bought it for the sole reason of the pretty cover. I like the fact that the content is simple enough for young girls to read but if you're on your 20s, its still a very nice book to read to remind you about the values of life. 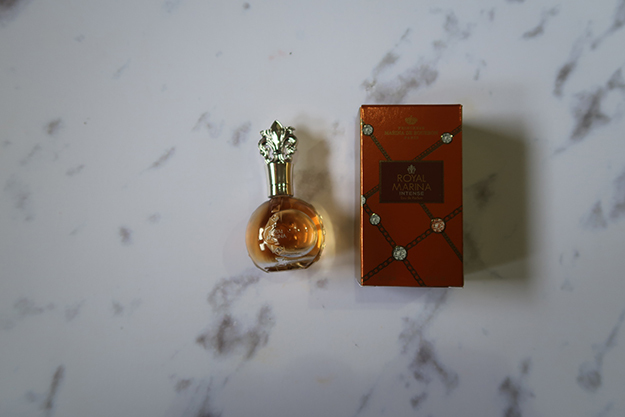 Again, with the move, and we haven't unpacked yet, I am living from a suitcase and apparently, in the haze of moving, the only perfume I threw in is this Royal Marina Intense perfume which I don't remember where I got this from. I am not the biggest fan of the strong smell but undeniably, I have been using this everyday since the moving day. All the buzz was true, my friends. 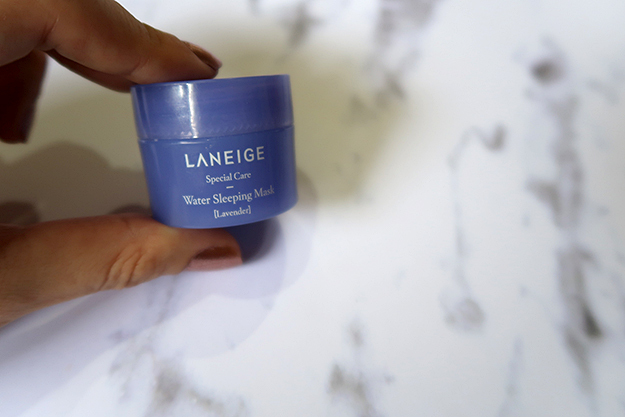 Got this travel size Water Sleeping Mask from Laneige and it truly soothes my skin. With the stress of the holiday season and moving out from our apartment on top of that, my skin has been acting out. This mask definitely helps! I noticed that the redness on my face become less prominent after a night of this. Pretty sure I mentioned the travel size back in October so I went ahead and bought the full size. Still love it. It makes my skin noticeably brighter and softer. However, a friend did confide in me that this serum breaks her out so wear with caution! 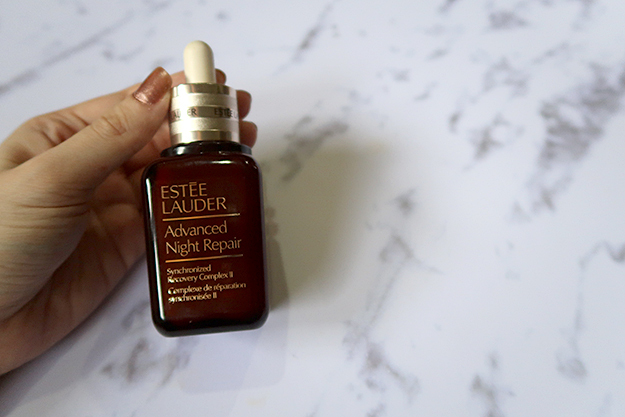 I don't wear this every night, just every other night when I feel like my skin needs an extra boost. Again, it's the only highlighter I threw in my suitcase and I must say, I made the right choice. 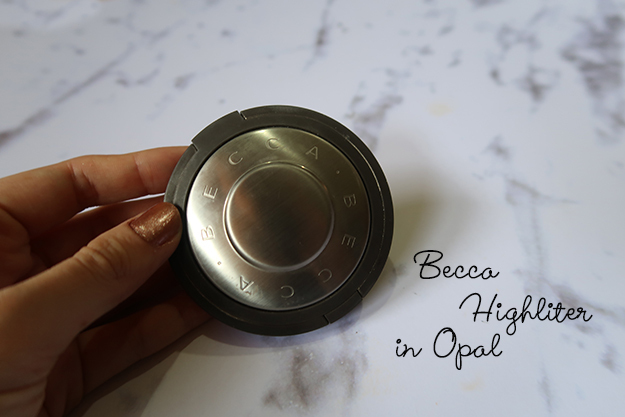 As much as I love MAC Mineralize Skinfinish Baked Highlighter, it doesn't give you that blinding glow, this one sure does the trick! So perfect for those many holiday events. 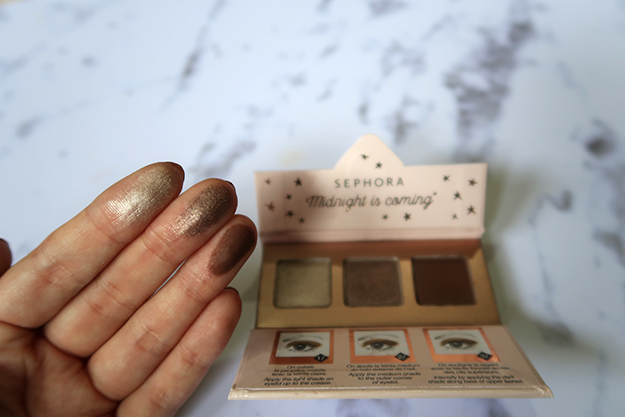 Was browsing around Sephora to stock up my Benefit primer when I stumbled upon this little baby, Midnight is Coming eyeshadows trio. For the price, you cannot beat it. It has great pigmentation and little fall out. It blends beautifully too. 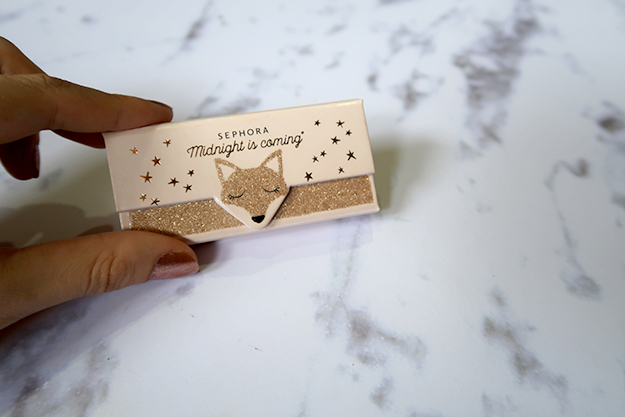 It's travel size and I love the shimmers. The gold colour is EVERYTHING. I also love the middle colour. Besides my Chanel Tisse Rivoli, this one been on a heavy rotation. I mostly just use the middle for crease and the gold for all over the lid. It's so pretty and very festive! Still with Sephora, I was going to use this nail polish as a Christmas gift, but decided not to. LOL. I wore Stardust all two weeks long just because it compliments all of my Christmas and NYE outfits. It's this coppery rose gold colour with the right amount of shine. I am surprised with the quality (which is why I decided to keep it) of these nail polishes. It goes really smoothy and gives full coverage in one layer. I did however, only tried Stardust and Private Boduir which is a dark plum colour. I'm not sure about the light colours, it might need a bit more work. They also lasts a good amount of time on my nails! Perhaps a good 5 to 6 days, as long as OPI's. 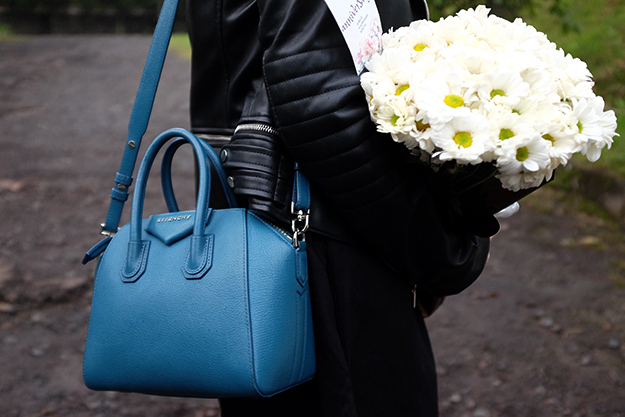 If you read my Christmas Outfit Ideas post, you might noticed that in all three pics, I wore this Givenchy Mini Antigona bag in Blue Petrol. I didn't expect such unique colours to match so well with tons of outfits but apparently, it does. Curious about this bag? You can read my review about this bag here. 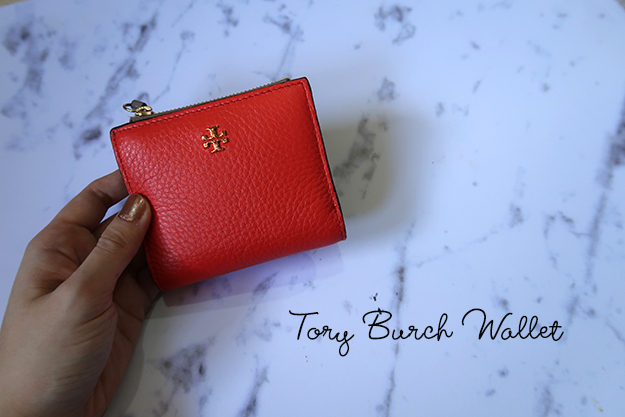 I love my LV wallet but it's bulky so whenever I want to use smaller bags, I'd have to resort to card holders, but then I stumbled upon this Tory Burch wallet (I wish I remember the name, will update when I found the box) and it's just really compact, has such festive colour, and it has this 12/12 sale so I decided to just go for it. 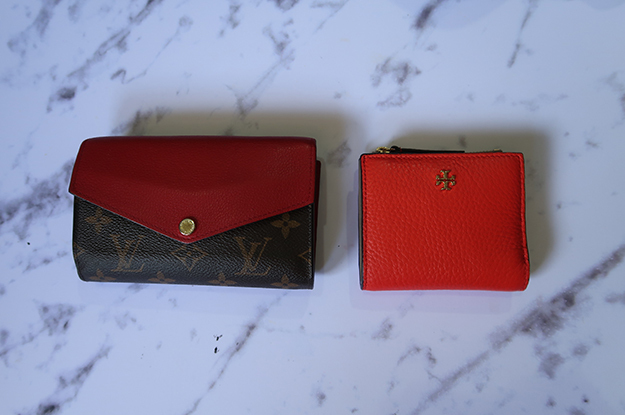 Been using this wallet ever since. 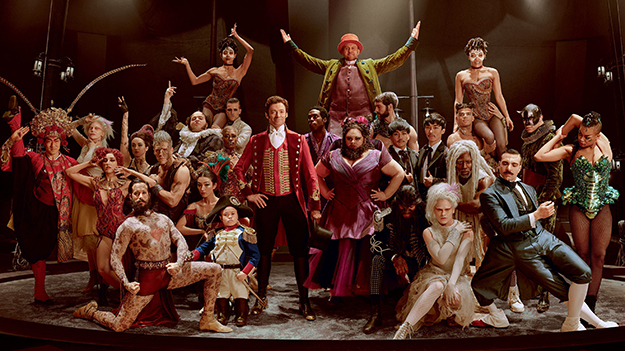 The Greatest Showman is a feel good movie that is filled with catchy tunes and decent choreography. It is somewhat loosely based on the real life P.T. Barnum. Hugh Jackman was the saving grace of the supposedly a movie that celebrates diversity. I feel like it could have dig deeper into the circus ensemble but they choose to focus on Barnum's life. But besides that, I do love the bright colourful costumes and the general story of a penniless kid build an empire for himself. You must never ever give up! I do love the soundtracks, especially This Is Me performed by the brilliant Keala Settle. I am officially a fan. The choreography, could be better IMHO. I also might or might not wish my future daughter will look like Austyn Johnson (the girl who played Caroline Barnum). Anyway, that's pretty much all and wishing everyone a wonderful first week of 2018!